One of numerous Australian private island resorts that have been put up for sale in recent years, the former Club Med property was just sold to a China-based company. The only Australian resort owned by France’s middle-market Club Med has just traded hands for a lower-than-expected AUS $12 million, according to media reports. An aging three-star facility in need of a significant capital investment, the resort closed on January 1st, 2012 (link), and its brokers had been soliciting interest from a variety of different investment and hospitality firms, resulting in at least 200 inquiries and a dozen bids in the first offering alone. The successful bid came from White Horse Australia, a subsidiary of the China-based White Horse Investment Co. The background of the purchaser will likely not come as a surprise to those who have been following the changing fortunes of Australia’s tourism industry, which has been actively courting foreign investment, especially from Asia. It may turn out to be a match made in heaven between Lindeman Island and White Horse chairman William Han, who has long promoted Australian products and businesses within China, fostering economic cooperation in diverse sectors like tourism, advertising, and mining. The sale has sparked hopes that Queensland’s lagging travel industry will be buoyed by an influx of Chinese investment. 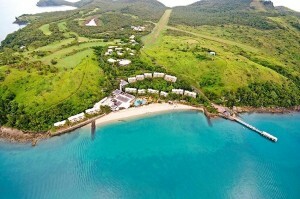 It will take a large investment to transform Lindeman Island, but Mr. Han certainly acquired the property at a far friendlier price than Club Med, which had paid AUS $15 million for it in 1990, and spent millions more on upgrades. He also made it clear that any redevelopment would follow the eco-friendly trend in the region. “We are committed to resort developments that are in harmony with the natural landscape, with high environmental values,” he stated. As far as resort tourism is concerned, Queensland has had a rough go of it over the last few years, with a spate of natural disasters and a shaky economic climate resulting in empty hotel rooms throughout the state. 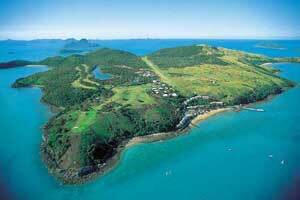 White Horse’s Lindeman Island purchase is the first Queensland resort to be snapped up by a Chinese company, and may herald the start of a new era in tourism for the beleaguered region – after all, Asia is expected to account for more than half of Tourism Australia’s projected growth in the next ten years.